Posted on September 23, 2015 by admin / This entry was posted in Uncategorized. Bookmark the permalink. This past Sunday, I was spending a relaxing evening knitting and drinking wine while preparing for my week. I haven’t watched television in a long time so I could focus on MY BUSINESS. Because of that, I missed the Emmy Awards but when I looked on social media all I could see were tweets and Facebook posts about the phenomenal actress Viola Davis and her acceptance speech for taking home the Outstanding Lead Actress in a drama series…and for being the first African-American woman to be acknowledged! We love you Viola Davis! I was profoundly moved. Now, many people will agree and others will say that all women have had struggles in any industry and are still trying to fight their way through the glass ceiling. That may be true but put race on top of gender, and there is a whole other story to tell. Look at the yarn industry. YES, I said it! The yarn industry has hundreds and thousands of yarn companies that make gorgeous yarn. I know this because 1).I am a yarn business owner, and 2) I have amazing yarn from other companies in my yarn stash. 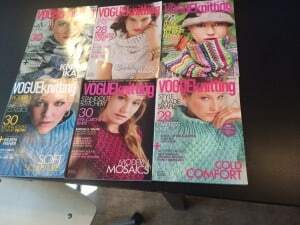 The yarn industry also has amazing knitwear designers, really cool magazines, and wonderful social networking websites. We love you Ravelry! Now, I want you to tell me OR just name three minority owned businesses out of the hundreds of thousands of yarn companies (commercial and indie dyers) that have a national audience. Name three minority knitwear designers that have been asked to teach, speak, or show at The National NeedleArts Association Trade Show, any of the Stitches Conferences, your local conferences or knitting Guild meetings. Anyone? 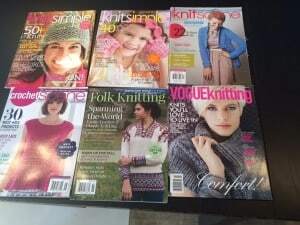 Show me five knitting magazines or books from this past year that have a diverse representation of minorities or men on their covers and inside their magazines. Show me the number of articles that have been written in the last five years about minorities in the knitting community? Do you get it? For most of you who knit and understand the knitting community, you wouldn’t be able to complete this list because there is an EXTREME lack of diversity in the yarn industry. And here is the usual response I get after bringing up that point: Well minorities do not knit…. As a knitter and African-American woman business owner in the yarn industry, I know many minorities that knit and I know some minority knitwear designers who I have met at shows – and I know there are more. Yet I have yet to find a yarn company or indie dyer in addition to myself who has attended a local or national show. In fact, between my attendance at the The National NeedleArts Association trade show in 2014 and the recent Stitches Conference, I was the only African-American business owner at these two shows. Why is this? I am sure there are other minority business owners out there. And I am not just talking about African-Americans. Yes, I am black but I know Latinos, Asians, and Africans who knit or crochet. Why are we not represented well in the knitting community? As whole, I believe the yarn industry needs to do a better job at addressing the lack of diversity in our community especially among knitwear designers, speakers, and images in magazines, and by reaching out to minority-owned yarn stores and dyers. We live in a diverse society and social media has changed the way that we communicate and connect. Since knitting magazines started out way back in the early 20th century, white men and women of grace those pages of magazines during a time where race and racism was extremely prevalent. Yes, it has changed slightly over the years but the racial disparity of the past continues to reflect what we see in the present. There are systematic racial issues that the yarn industry needs to address. I can go on Ravelry, Instagram or Facebook and see diverse groups of people who have similar interests and I follow them online. I should also be able to see a representation of people from all backgrounds at conferences as speakers, teachers, owners, and designers. They are out there but individuals at the top of the yarn industry need to make the effort to want to make these changes. Attitude does reflect leadership. And just because you see people in the knitting community who look like you and who have the same interests, it does not mean that there isn’t room for improvement. I feel that the lack of diversity in the industry is also because those who see themselves represented turn a blind eye. I said on a recent Facebook post that I see Ms. Tubman’s quote that Davis eloquently repeated. I see the line in the yarn industry as there are many white women represented in every aspect of the industry while minorities and men are left out. I ask myself “what am I trying to do in becoming a national brand?” Yes, it is a huge undertaking and I believe in my product. I believe it is unique and different. I am speaking to urban knitters and crafters. I am here to stay and crossing the race line will be hard and arduous but I am in it for the long haul. WHEN I CROSS THAT LINE, I WILL BRING WITH ME OTHER PEOPLE WHO REPRESENT THE COLORS OF THE RAINBOW! Cover of Vogue magazines in the last year. thank you for putting your energy into widening the participation of WOC/POC knitters represented at all levels of the industry. i am a black women, returning to knitting with zeal, and would like to support a diverse range of crafters in their speaking, spinning, dyeing, teaching, etc. i am a new subscriber to a few knitting publications and will be writing the editors to continue to reinforce this important issue. Thanks for your insight. I am currently looking for black owned yarn stores and would love to have my own. But my skill isn’t at the level to be real help to most but don’t consider that a deal breaker! I just was thinking this for years. They many ethnic brothers and sister who enjoy crocheting and knitting. However, the opportunities are very slim. 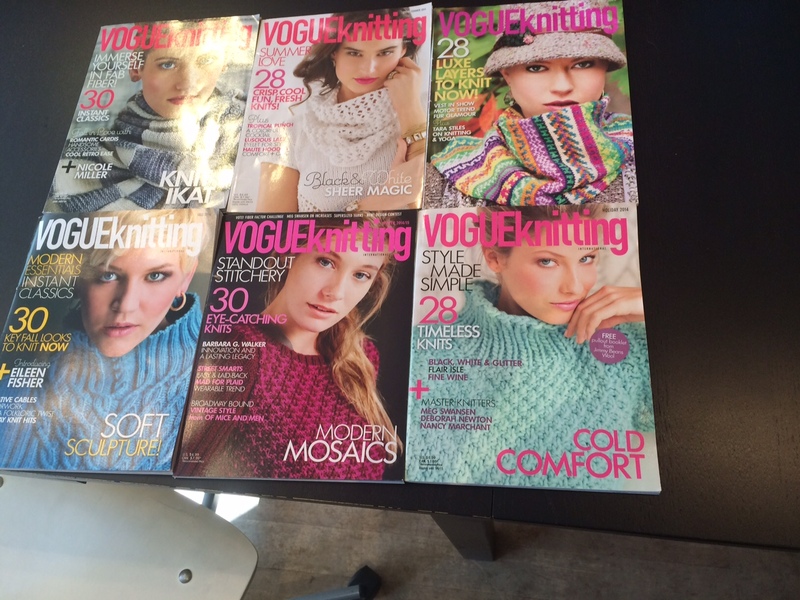 Yes the crocheting and knitting magazines are covered with Caucasians. I rarely see any magazine or yarns cover by any person of ethnic descent. Lack of diversity is truly missing in crochet and knitting world. Currently watching a live stream on YouTube at the moment; it got me curious about Black yarn companies. I’m a Black woman who’s been crocheting for a good half of my life, and I’ve always wondered why there aren’t any brothers or sisters who have their own line of luxurious yarns. I’ve even wanted to know how I can one day have my own yarn line, or publish a pattern book showcasing soulful crochet designs. A big thanks to you for bringing this to light, sis. Thinking about this today! I googled trying to find some indie yarns owners by POC/WOC. I am on the pale side of the spectrum and I see a lot of people who look like me dying and selling yarn like hotcakes. I want to support diversity! I want to spend my money on beautiful talent across the spectrum. It doesn’t seem much has changed since the original post! What a loss for the fiber community!! Love this post. Just last night two married moms I know told me their son always wanted to learn to knit. We need to keep pushing for this space to evolve. I know I’ve seen change in my area, at the sheep and wool festival, but it’s slow going. I crochet and knit and would love to join a group of people of many colors who also knitting and crocheting. Haven’t found any so far. Maybe I can start one. Yes!!!!! This is what we’re doing!!!! I enjoyed reading this article. I am a crocheter, have been for many years. I am just now starting to sell my crocheted items. I am also in the process of owning my own yarn shop. There is a lack of Black owned yarn shop. There are a few out there, as I know of one in Denver, CO. And I have also been told that black people don’t knit and crochet. I just shook my head and let my skills speak for me. Knowledge is power. I only started knitting last Dec (2017) and since then have been actively looking for BIPOC (Black, Indigenous, People of Color) fibre artists, yarn producers and designers. How I came across Lady Dye Yarns on Instagram and your post about Madeline Tosh’s rebranding her Black Panther inspired yarn collection after you had first done this. I immediately chose not to ever purchase her yarn – because in truth she doesn’t need my business! I am a queer WOC living in Canada and was only buying yarn from indie dyers here (mostly white of course, so far I have only been able to find 3 racialized folks here who do this work – The Blue Brick Yarns, Zen Garden [one of the owners is a man of color ], and Sweet Georgia Yarns). Diane – I truly appreciate your work and I can’t wait to support artists that you bring attention to.